I don't really care if people view my threads Steve, has there is one member who is a pain in the backside to me. I won't go into details.. But on the viewing side of them, I do really care, because that's one of the ways I can learn from the very helpful replies from the far more experienced members on this brilliant forum, even if they are sometimes critical, thankfully they are few and far between.... But you can also learn just by viewing Steve and not having to say anything about them. I know that members do learn from one another just from viewing, because they will use your ideas in their own builds with some fantastic builds also. keep on doing what your doing Steve, you do a great job and are an inspiration to me and other members too. Well, my Dad bought me a book with some simple projects in it -one is the "Jenny Wren" little stationary steam engine. Might be a good thing to start with, but it's difficult to know HOW to start. I don't know anything about these tools. Someday I will take the leap though. I think you are doing a grand job so don't worry too much. I have just really picked up on this thread and will follow with interest. Just one little thing. You mention the grubscrew drilling on one crank slipping off centre. I do hope I am not preaching to the converted, apologies if I am. Do you know of a tool called a Slocombe centre drill? Its usual usage is for making deep running centres on bar stock for turning between centres in the lathe. However it makes a great spotting drill when having to drill for things like grubscrews on a curved surface. The trick is to set your work up in a vice with the location of the potential hole uppermost. Then place a 6" steel rule across it, bring the quill of the drilling machine down onto it, trapping the rule between your work and the Slocombe. First time it will not set parallel with the bed of the machine (unless oyu are a lot luckier than me) so just move the work gently under the point until when trapped the rule is parallel with the vice jaws/table of machine and at right angles to the quill. Slip rule out and then just spot about the size of a centre punch mark (enough to start your standard jobber drill) and then just drill with your normal drill. It won't slip down the curved surface and will generally be on a perpendicular radius to the curved surface. I rarely centre punch even flat surfaces now. I usually set out my drillings with a Slocombe centre drill on the mill using the offsets of the mill table. I can then drill at leisure if you see what I mean. It takes longer to say it than to do it. Great advice on the how to drill on a radius without centre punching as I do now centre punch all my work before srilling, however, they either slipped a little or I centre punched them in the wrong place, not just the one, but I do this a number of times. I will confess I do need to wear my close up glasses when doing centre punches and trying to drill them afterwards and I will also admit I don't always have them on me so I forget and try to do it without them. I have only just started to wear glasses as I am getting older, so it's all a bit new to me. I will also confess I need more direct lighting under the drill and mill, I have an LED ring under the mill, but it's not all that and one segment has recently stopped working which doesn't help matters. I usually set out my drillings with a Slocombe centre drill on the mill using the "offsets of the mill table". Like you say, I view lots of posts, I don't always comment on them, but usually take something very useful away from them. Absolutely, a lot of work is done with files and a hack saw, much more than I thought there would be. 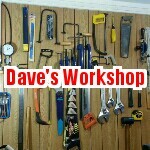 As Dave says, there are lots of useful books, particularly the Workshop series, of which I own a few and is certainly where I started as the wife bought them for me when I said I wanted my first lathe. I did do a bit more today, but have no pictures to post up. I only use Slocombe centre drills now for spotting, then standard drills for the holes. However as regards using the mill table, it is actually quite simple even without any of the expensive sophistication of DRO's (digital read outs). As you know the mill table moves in two directions (the X axis side to side across the machine and the Y axis in and out). By the way you can get X-Y tables and bolt them to your drill press table to help. These are controlled by the handles which are graduated. Basically I set my work up say a set of frame sides, clock the truest edge with lever dial gauge (bought cheaply secondhand---- Verdict in the States parlance). Then use something as a datum and turn the handles the relevant amount to move the centre to the exact spot. You can achieve hole centres with some ease which are within 0.05MM ( a couple of thou in inches). I also use a cheapy Starrett edge finder or a "Wobbler" to find the position of the exact edge (remembering to calculate in the diameter of the disc or rod in the finder ---usually ground to extremely fine tolerances), zero the handle dial graduations and count off. my drawings usually end up covered in scribbles of so many turns and so many divisions as each dimension. It works for me. You can use this basic technique in any number of ways. For example on your cranks. "edge find" the back face in the vice, move the table to bring the centre of the quill the exact distance from the back (or front face) where you want the hole then use the ruler technique to get the very spot you need on the centre of the curve. I'll try to remember to get a couple of pics together and post them up for you. Back again. Here are a couple of pics to show the "ruler" set up. I had a job set up in the mill so it was easy to load a centre drill and just show how easy it is. The table only was moved a very small amount to change the angle of the rule. The other picture is of a "wiggler/wobbler/centre finder" set. I rarely use any of the attachments other than the one immediately to the left of the chuck/stock for edge finding. It is the disc which has a ground diameter accurately of 0.1" yep they are all imperial. I haven't found one which is metric yet. As regards my Starrett edge finder well I have known for a while that the resident gremlin in my workshop has hitched a ride on the removal van to this house last year and he has stolen or borrowed both of them. Whne I don't need it it will be returned to me. one day I will find out what he is making with my tools. As you can see my mill is now a relatively simple WARCO bench mill with no DROs other than the standard one fitted to the quill. Useful but not essential. My lathe is also a bench lathe a 14" bed MINI Lathe. I had to downsize dramatically for both health and space reasons at the previous house. Yes I miss the big stuff as I had made such a lot of tooling for itall over the years to make life easy but am coming to terms and making bits and pieces of downsized tooling (e.g. the job you see is a saddle stop based on the colchester pattern but much smaller for this lathe). Just that htings have to happen at a much slower pace I can't just rattle off a big pile of swarf. I have an "edge finder set" just like that "somewhere", but honestly, I don't have the foggiest what to do with it, I used it initially for centralising work in the lathe from the tail stock but soon worked out that a dial was the way to do it after watching a youtube video. Ian didn't mention it, but in case you haven't picked up on it, the trick of using a 6" ruler to find the centre of a round surface can also be used to set the height of a lathe tool. I gave up using a centre punch a long while ago, as I could never place the centre pop accurately. I used centre drills for a while, but found they were wandering as well, as my machine tools are small and not overly rigid. After making seven eccentrics for one loco to get four that were the same, a friend who used to make his living building little steam locos suggested I try NC spot drills. They have a smaller tip than centre drills and don't wander at all on the little mill/drill I use for drilling. I now use a spot drill to locate all holes, before drilling them with a jobber drill and had no troubles with the eccentrics for the current loco. I still use centre drills in the lathe though. Using the X-Y table to position the workpiece when drilling gives much better results. I used to use the technique described by Ian, but I gave in and fitted a 3-axis DRO to the larger mill last year. As I get older my attention span is about the same as a preschooler and I found I was losing track when counting turns on the mill handwheels. The DRO gives me an absolute position relative to the reference point once set up, so I don't have to worry about backlash, keeping count of wheel turns and doing mental arithmetic on the fly. Yes I was aware of the lathe tool "trick". Its a really useful indicator. Sadly I also have had to downsize all my equipment at the insistence of my long suffering wife, who had moved my machinery twice with me with a stripped down lathe bed weighing 1020lbs let alone the mill and all its bits plus worst of all crushing her foot under a largish flypress when we moved whilst I was on crutches from a hip replacement a few years ago. Operating the engine crane when she was guiding the flypress onto a sack truck, the crane jib bent and I did not lock the hydraulics down in the ensuing panic. Salutory tale I'm afraid. Now she has had to have spinal surgery it was time to cave in and be less stubborn in 2017. I ususally achieve what I need with the centre drills and hence have never bothered with the genuine spotting drills. I will keep it in mind and give it a try. Thanks. However I did learn about wigglers and edge finders and how to make them work. In the end I did find some youtube stuff plus a little working demo by a firm at a model engineering event got me into using them. I did look at laser instruments but their accuracy was little better in reality than could be achieved with the mechanical items. Also the shank sizes are quite large which would mean at least one additional tool change to use the most convenient tool for a smaller job such as the ones we undertake. Space always a premium commodity on bench top mills as well. Using the mechanical edge finders becomes a knack in the end and a skill well worth putting into the store. I will look for those youtube items (can't promise I will find them again) Steve and try to post up a link rather then me boring you with an explanation from me. I can do that though if you wish.